This article was written by Winton McKay (also known as Hessian Sack). He hasn’t won anything yet. But you can’t blame him. He’s only 13 (and home schooled). [EDIT]: We are pretty certain though, that if he sticks with it, he'll soon be conquering the world! When I first saw his deck, I really liked it ... sure, it's not the most competitive deck in the format, but it can definitely put up a fight, and is great fun to play. Also, if you need to get some of the cards out of your binders that rarely sees play, and will rotate out soon, now is the time! I immediately asked Winton to do a write-up for the page, and I'm happy he was willing to do so! I’m not going to claim that this list is perfect, or even a fantastic choice in the current meta. Its Darth Vader match up is decent, but it naturally struggles against mill, eYoda/eBoushh, and decks with lots of mitigation/shield gen like eYoda/QGJ2/Bitter Rivalry or anything with DJ ... so that's that! make it fun, not just competitive, but preferably both. I actually feel I've managed to achieve all of the above! I think this deck could do quite well with a bit more tweaking, particularly if the meta turns 3wide again, and adding to this a "BOLD CLAIM": I think this deck is better at getting vehicles on the board than any other deck in the format. One thing you may notice is the lack of removal in the deck list. With only 7 removal cards, it may look like this could easily be rolled off the board. Think again. I also have included 2x Caution and 2x Force Illusion, and I have an impressive 28 starting health, plus two shields when I inevitably lose the roll-off. Even still, my health is only in the forties (including mitigation), you may say. Only in the forties? Seems pretty good to me. Not to mention that almost all my vehicles have shield generation, with 9 of them capable of giving me 2 Shields each. 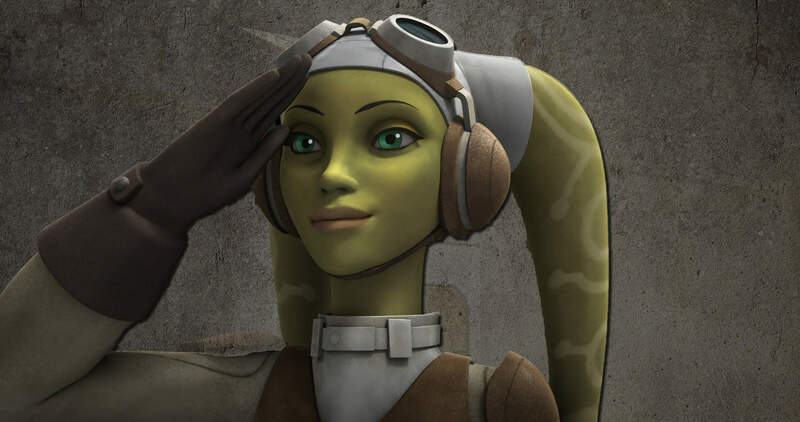 L3-37 has a shield side, and so does Hera. Not to mention Yoda. In a good game, my opponent may have to chew through anywhere from 45-60 effective health. And health is what a vehicle deck loves most. Other than... you know... vehicles. All this effective health gives us time to play multiple vehicles and get multiple uses out of all of them. YODA is the lord of consistency. 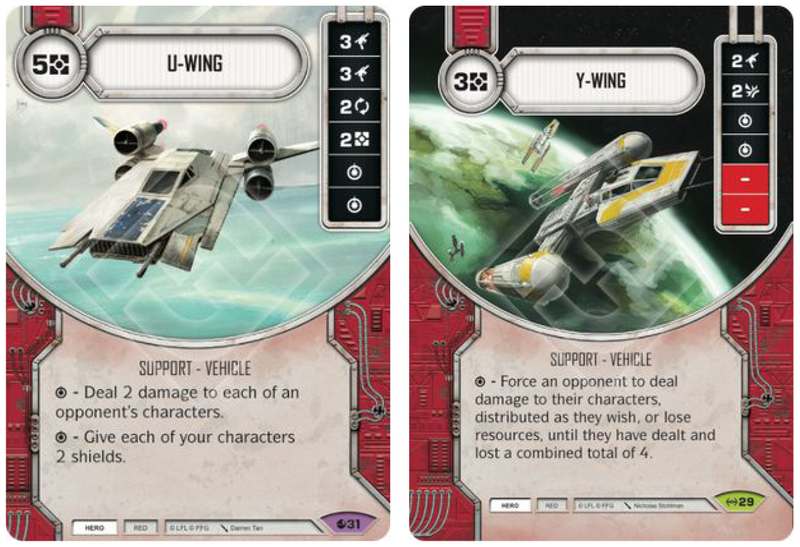 He lets us Special chain to Hera Specials early game, and then adds consistency to Y-Wings, N-1 Starfighters, U-Wings, and T-47 Airspeeders late game. His Special probably generates 50% of this deck’s money. One of the most common decisions you’ll have to make is whether or not to resolve his Special for Shields or Resources. It depends on what you need to play, and what your opponent’s dice are showing, but once you get games in with the deck, the choice will often be pretty straightforward. She has 4 good die sides and more health than her point cost. And one of those good sides is a Special you can chain into with Yoda. Her Focus can be used to “Focus chain” into L3-37’s 2 Focus and get max damage out of two vehicles. Her shield is more health, and her resource is, umm, a resource? What’s not to love? I've been trying to make her work since April 2018, when I first played vehicles. I've finally found what I'd been looking for! I’m not sure why you would play a hero vehicle deck without L3-37, except in a few rare cases. Her Focus sides are so good, her Discard is great for those times when your opponent is repeatedly passing with what you know is mitigation in their hand. I’ve told you enough about shields already, so I’ll just say it’s good. Same with the resource. Her ability is really interesting, too. The resource generation is obviously the main reason for including this. Can also be handy in the mill match up. I often use it as an alternative to a Hera special. Another fun combo is to use it with Easy Pickings, for resource or blank, i.e. Easy Pickings one of your opponent's dice and one of your's, although I'd often prefer to actually get my hands on the resources. This is pretty easy to explain. It's FORCE ILLUSION. Blocking a potential 6 Ranged from a Shadow Caster sounds good, right? Yeah, well don't do it. The most damage I'd use Illusion to block is 4! 5 or 6 makes it too easy to get milled. I know this from playing a Shadow Caster reset deck extensively. This has to be one of my favourite vehicles. Ever. It has two direct damage sides, plus the ever-powerful 3 Indirect damage side. The text is really strong, although I kind of wish it was on Firespray-31 or Shadow Caster instead. No-one really wants to Sabotage/Vandalize this. I included this one mostly on a whim, feeling that it could synergise well with L3-37’s ability. It’s basically a better ARC-170 but costs the extra resource. It’s probably the card I’m happiest to part with here. If I were to play this at a high-level event, I'd switch it for the L-S1 Handheld Cannon. Ohhh, I love this support. The beautiful Special, and the shields, and the 3 Indirect. It’s just fantastic and finds a way onto the board in almost every game. Never underestimate the power of readying a vehicle or discarding your opponent's. 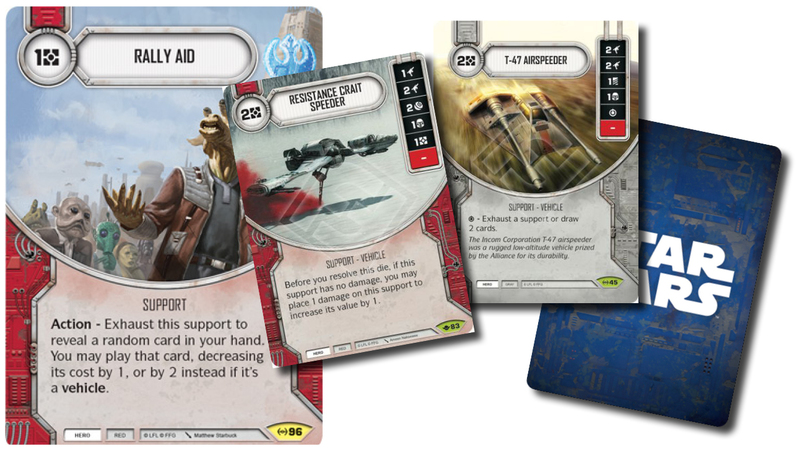 I included it for the fun little combo with the Hera Special and being able to cheat out that bigger support. It has a 2 Focus and a 2 Shield side, as well as the two resource sides. It's just really solid. The action is icing on the cake. RALLY AID is a pretty standard ramp card for vehicles, it’s extremely powerful, and saves me so many resources. Because you are running loads of vehicles, your hand will often be dense with targets for the Rally Aid at the end of a turn once you've rid yourself of mitigation. Hehehe... my little beauty. This is the best hero two-drop in the game. And my favourite hero support. Before you place the damage on it, it basically has a die with the faces of 2 Ranged, 3 ranged, 3 indirect, 2 shields, 2 resources, blank. That's amazing for 2 resources! Another solid two-drop here, two damage sides, a Discard, Shields, and a very solid Special. The only thing it’s lacking is a Resource side. If you have 3 Resources plus this and a Crait Speeder in your hand, then play the Crait Speeder first, use the before ability to gain 2 Resources and get the T-47 as a bonus! U-WINGThe heart and soul of the deck. That Special is devastatingly good. If you can get one of these round one, then you’re going well. Special chaining with Yoda into it is a good idea, and hard for your opponent to stop. If you're playing against Leia3, or if you think Vader has Fear and Dead Men, then it's probably worth resolving this for Shields once or twice. My second-favourite vehicle here, you always want to hit the Special. 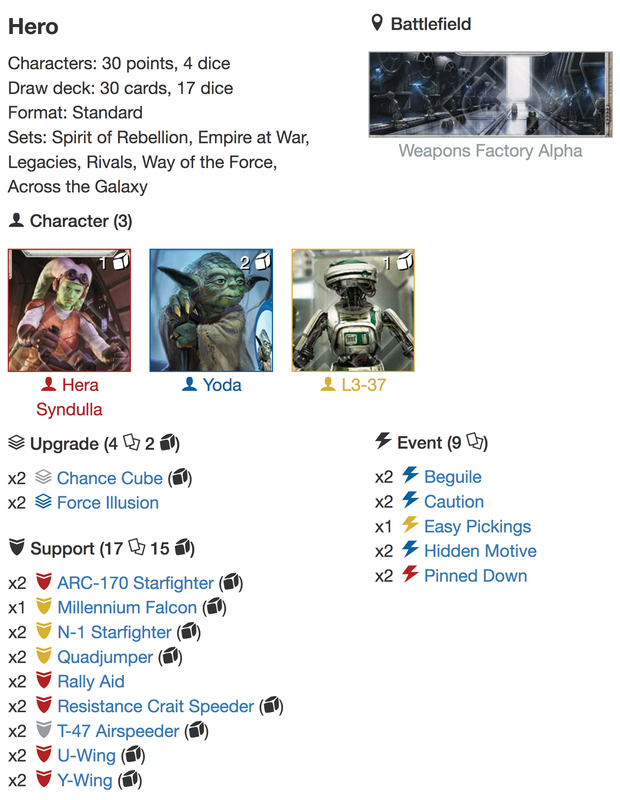 I sit down to play any other deck, and I keep finding myself thinking, “If only I had a Y-Wing Special right about now.” It really gets your opponent thinking, and often gives you that nice feeling of having them read your card. It's also another candidate for Yoda Special chaining. I’m considering making this a one-off, but for now, it’s probably the best mitigation card around, aside from maybe Force Illusion. I’d spend two to mess with up to three dice any day. Effectively resolve any character die as a 3 Shield side? Yes please, sir. I’ll take two. This is probably the best event in the deck. A pretty standard removal card with a yellow hero character. I only have one included because it’s so hard to pull off vs. Vader3 or Leia2/Lando2. It’s your only 0 cost removal. It’s almost always guaranteed to mess with a die, if not remove it. And there aren’t any spot requirements. Just play it and don't complain. Just a really solid 1 for 1 removal card. I can't say much more about it. 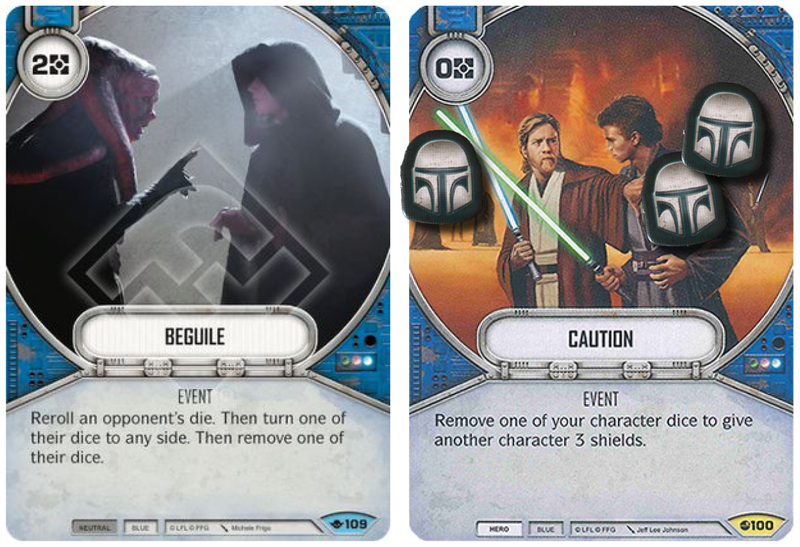 Due to your deck composition Pinned Down will be available to play from the get-go. 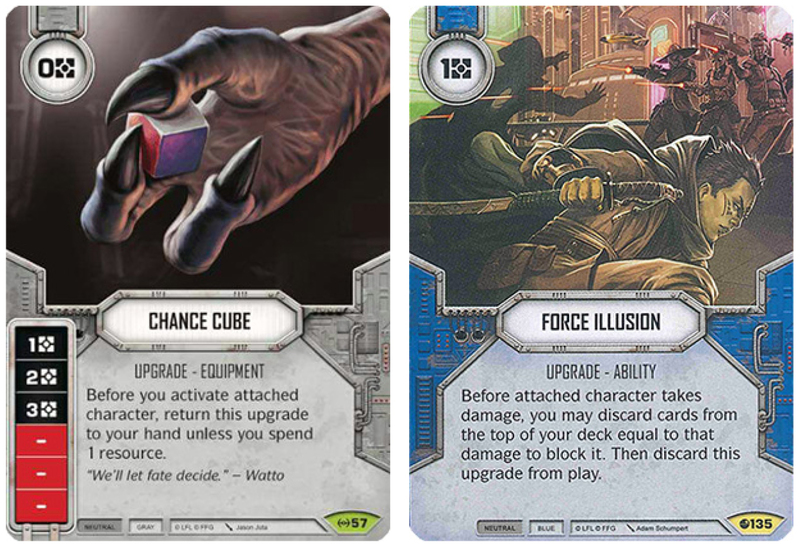 In your opening hand, you want three vehicles: Quadjumper, a U-Wing, a two-drop, a mitigation card, preferably Hidden Motive or Caution, and Chance Cube. Rally Aid is fine too. Another great starting hand would be Chance Cube, two two-drops, a three-drop, and a mitigation card. NEVER discard all your vehicles, always keep at least one in your hand before mulligan. Your game plan is pretty simple. Play vehicles, generate shields to absorb all of your opponent’s damage and flood the pool with too many dice to control.